On A Mission is exactly that, “a mission of love, a mission of peace”. The positive vocals hark back to those of early 90s house tracks, which created unity through music and clubbing. The rhythmic beat of the drum is determined, as percussive layers build and the vocals bleed into the synths. Francois K provides two variations of the track. His remix features more prominent drumbeats driven by a growling bassline. On his rockers dub version, Francois goes all out and dubs us into the stratosphere. Up next is the Michael Mayer remix, with a more electronic take on the original with driving synths and a whirring, throbbing bass-line. 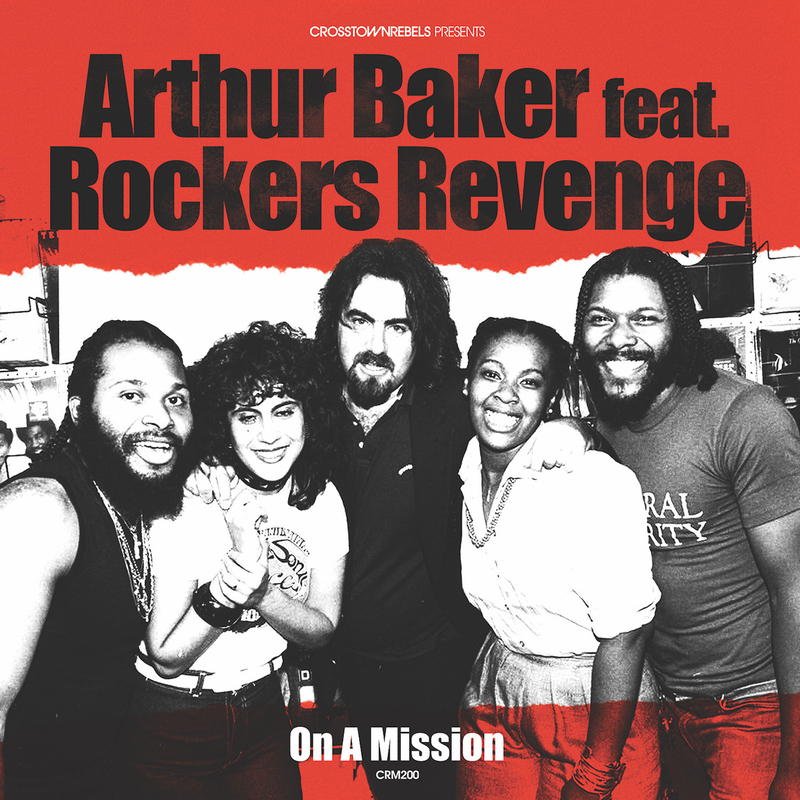 Created in 1982, Rockers Revenge was the brainchild of Arthur Baker and Donnie Calvin. Donnie provided lead vocals with Baker’s wife, Tina B, Dwight Hawkes and Adrienne Dupree Johnson on backing vocals. Their most prominent track, Walking On Sunshine, was a post-disco hit reaching #1 in the US dance charts and #4 in the UK charts. Three years ago Baker and Hawkes reconnected through social media with Baker sending through his original Mission idea. Baker is known for his work with hip hop artists like Afrika Bambaataa, Planet Patrol, and New Order whilst also remixing the Pet Shop Boys’ 1986 hit In The Night. Fast forward to 2018 and the group performed a monumental live show at Get Lost Miami, and are currently in the studio working on new material. This Summer they will shoot a new documentary and perform live at various events.